Visions of Hell: STH Stormwatch (26Oct2014) : Cyclone 'Nilofar' is born in the Arabian sea. 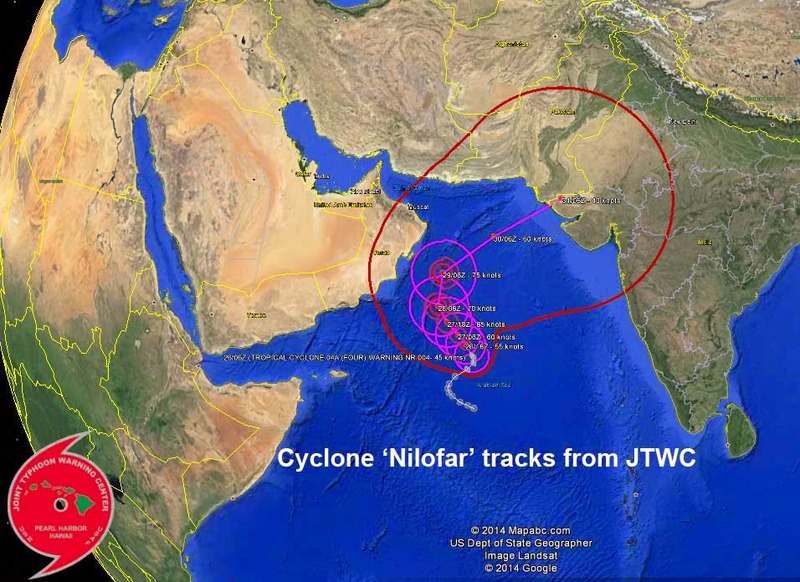 STH Stormwatch (26Oct2014) : Cyclone 'Nilofar' is born in the Arabian sea. 'The deep depression over westcentral & adjoining southwest Arabian sea moved slightly northwestwards, intensified into a Cyclonic Storm, "NILOFAR" at 1130 hours IST and lay centered at 1430 hours IST of today, 26thOctober, 2014 near lat.14.1°N and long. 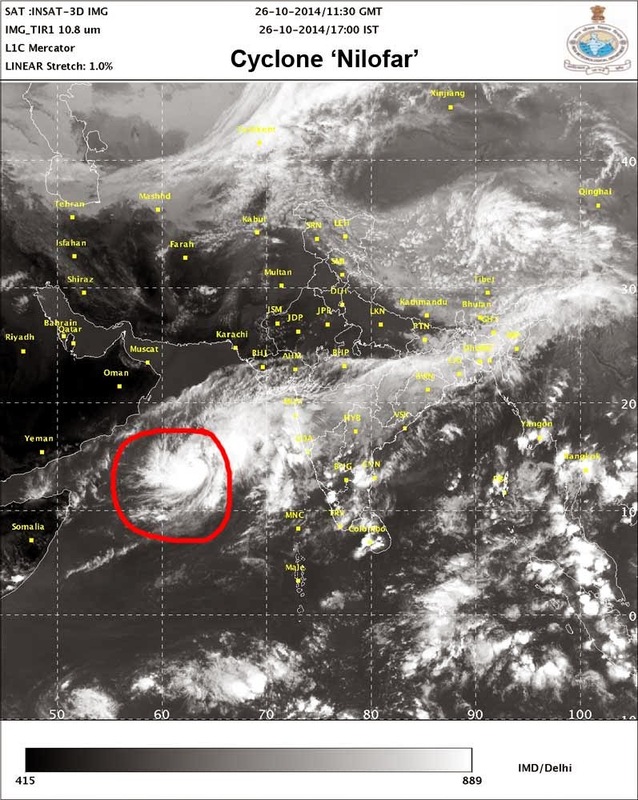 62.0°E, about 1270 km west-southwest of Mumbai and 910 km east south east of Salalah (Oman). It would move initially north-northwestwards during next 48 hours and then recurve northeastwards towards north Gujarat and adjoining Pakistan coast during subsequent 72 hours. The forecast tracks shown above are from JTWC. STH will continue monitoring this storm and will post salient updates from time to time, however we will not be posting detailed tracks and movements as we do for storms in the Bay of Bengal which impact the Darjeeling-Himalaya directly.